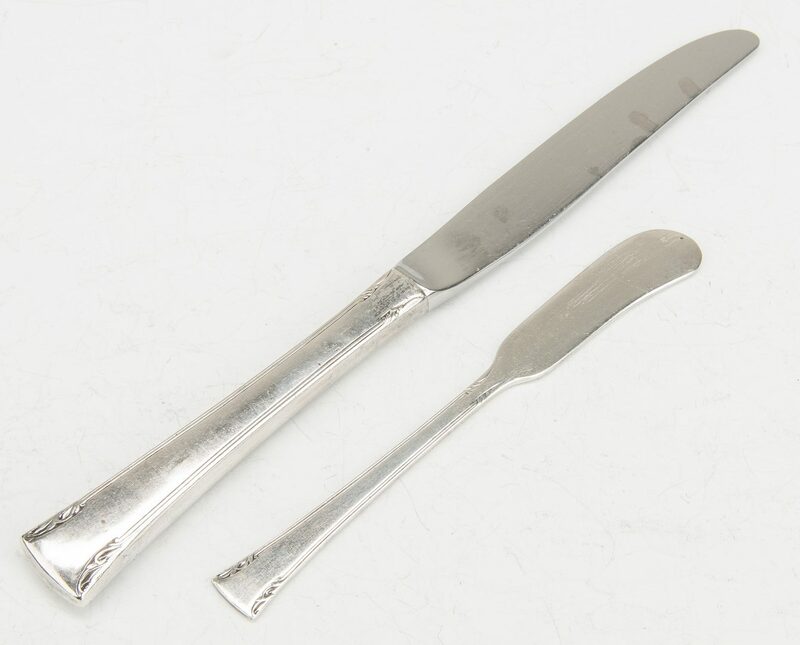 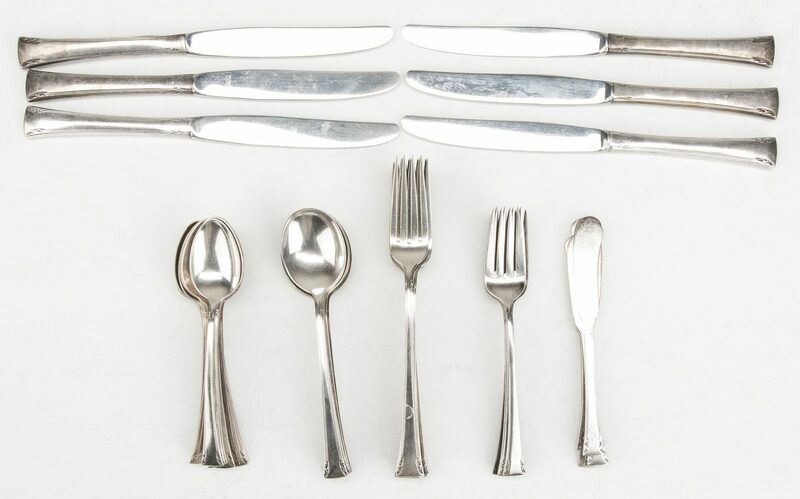 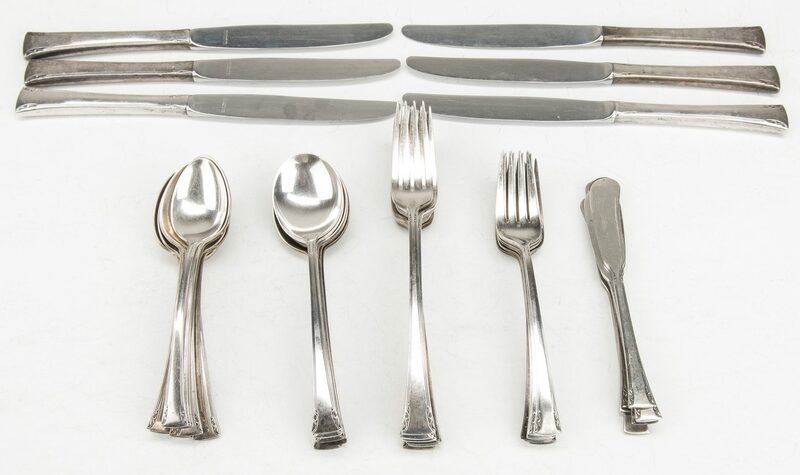 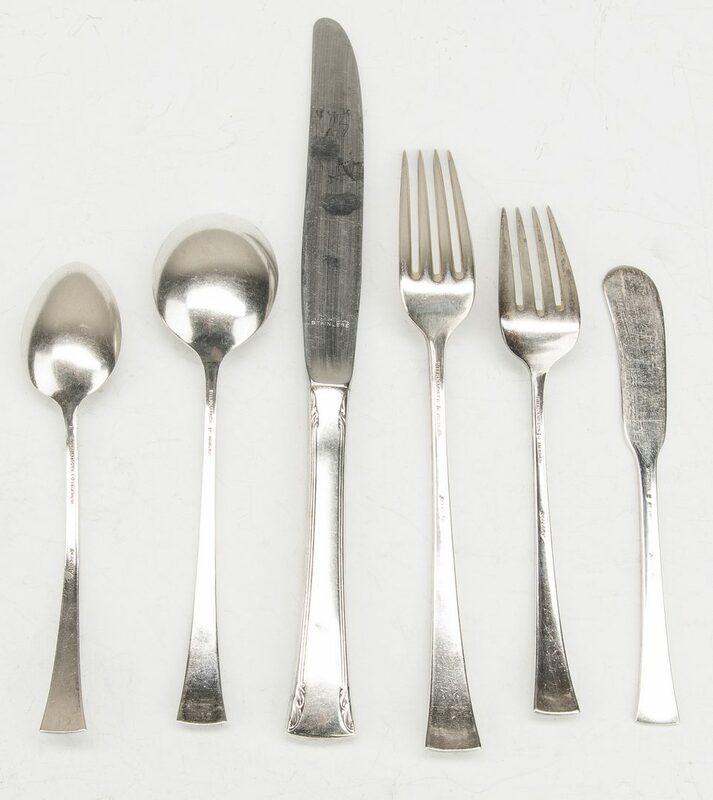 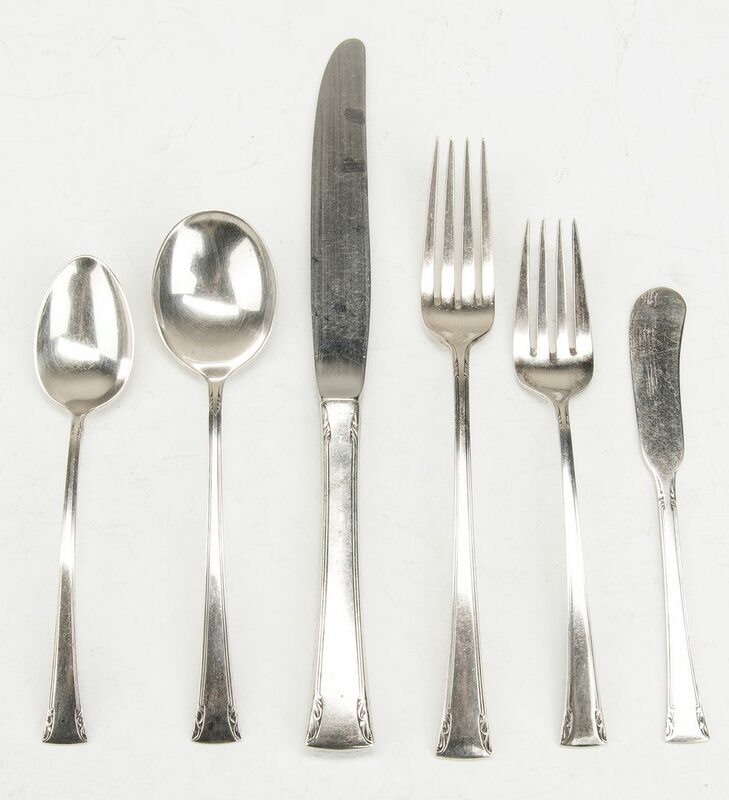 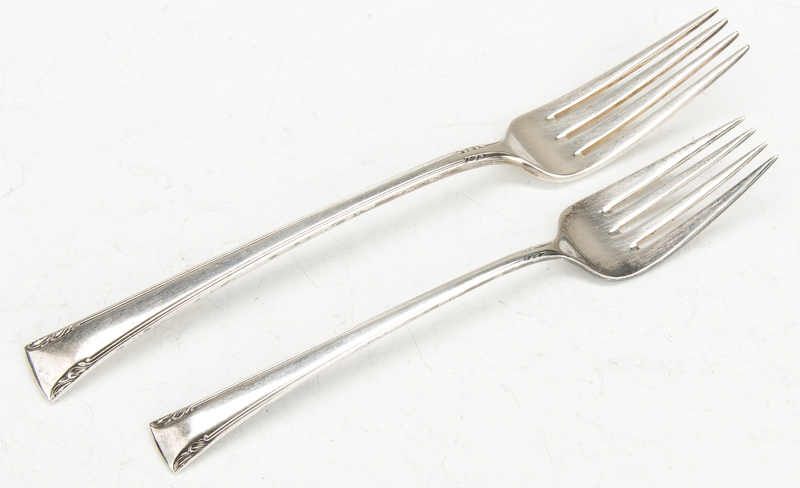 41 pieces of Gorham sterling silver flatware, Serenity pattern, including 6 dinner knives, 6 dinner forks, 6 salad forks, 11 teaspoons, 6 soup spoons and 6 individual butter spreaders. 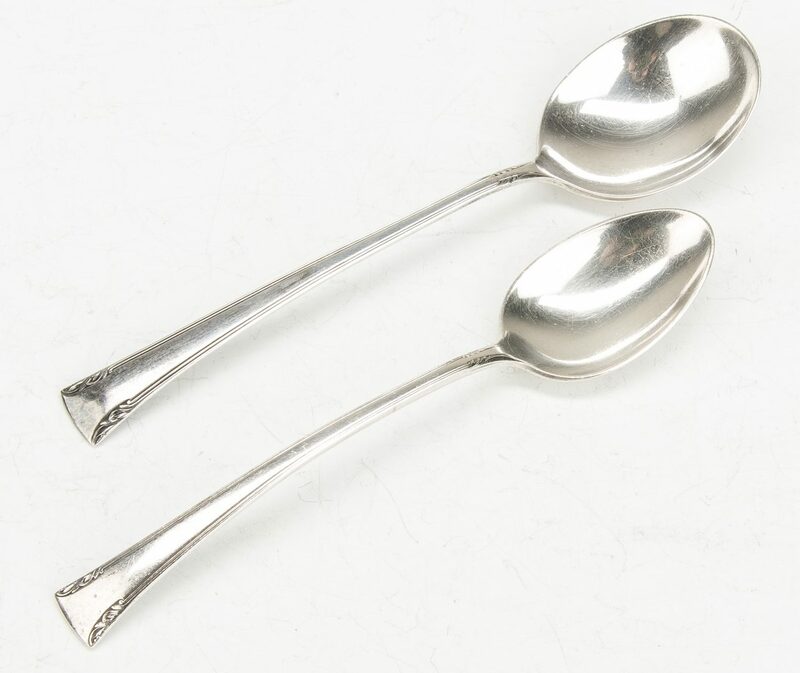 44.1 total weighable troy ounces. 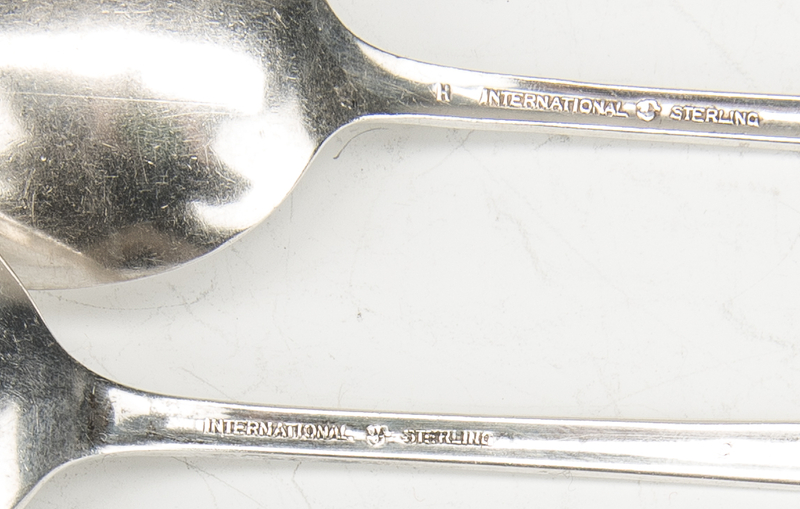 CONDITION: Not monogrammed. All pieces with light general use wear.